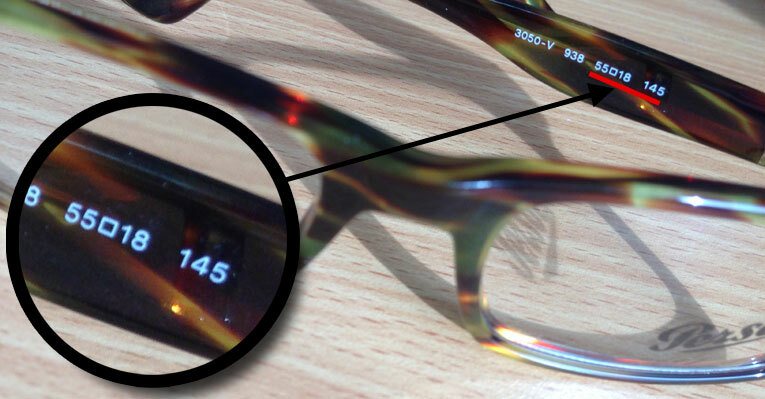 If you try on some frames at your local opticians, it's worth noting down the size of the ones that felt most comfortable. It is also worth checking the size of your current glasses if you have some to see what size has suited you in the past. As the overall size of a frame comprises of several numbers, there will be no exact size that will fit you every time, but knowing your existing size may help. If you look on the inside of the arms, you should see some printing. Typically you will find the frames name, its colour code and well as its dimensions. The bridge width is probably the most important measurement. Too small and the frames will pinch, too large and they may slip. If the frame has adjustable nose pads it is easier to get an optimised fit. Now you have an idea what size frame you need, it’s time to think about which shape will suit you best. This will be influenced by the type of face shape you have. Anything goes if you have an oval shape face. Pretty much anything suits you so try them all on! Longer face with high cheek bones? Try the more round and oval designs. Keep to the more rectangular frame shapes. Consider something with a darker or detailed upper rim. Strong, angular frames should be your first choice. Avoid the round or oval designs. Oval or round frames will compliment your face shape best. Angular frames are best avoided.